The Unknown Cook group over at Facebook has wrapped up another great month of cooking competition. This competition was created with sweets in mind as the group’s moderator, Sheryta Spears, laid out the rules at the beginning of the month. Baking sweets or creating them in any kind of fashion has never been a strong suit for me. I am strong, however, in eating them. Two of our member contestants, Sissy Kenyon and Andrea Baker-Jones, went bananas for this competition. 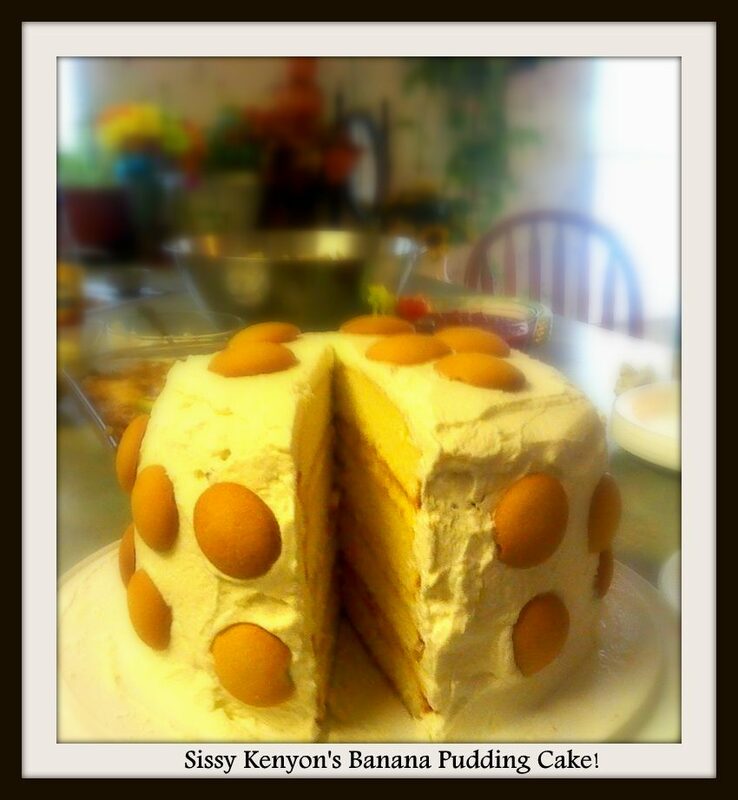 Early on in the competition, Sissy posts this marvelous and monstrous Banana Pudding Cake. Just the sight of this banana goodness made our eyes and mouths drool as our imaginations worked overtime as to how this cake would taste. I know it has to taste every bit as good as it looks. Sissy’s husband, Jeffrey, added that this beauty measured at just over 11 inches high. When he put a slice on his plate, he couldn’t find the plate! Now that’s what I call huge! 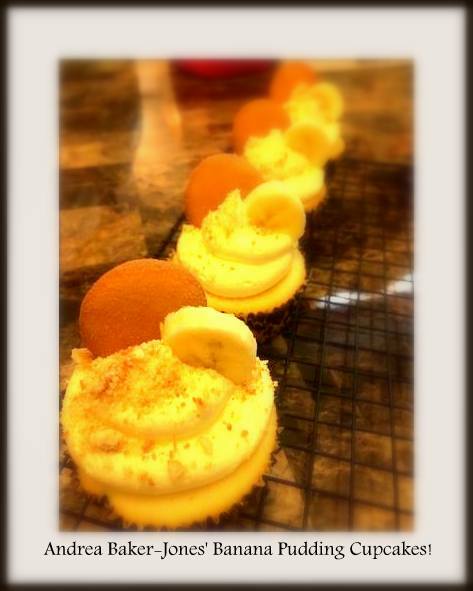 To make us drool even more, Andrea posted these easy to sneak away with Banana Pudding Cupcakes for the competition. Just as with Sissy’s Banana Pudding Cake, we marveled at the creativity of these hand-held treats. Lined up perfectly like little banana soldiers, these cupcakes are begging to be tasted. Unfortunately, none of us will get to taste any of this batch. Andrea told us that the recipe is from her daughter-in-law. She knows that Andrea enjoys making cupcakes and gave her this recipe to add to her cupcake making arsenal. We are appreciative of all members that participated in our “sweets” competition. We will sit back in anticipation and wait for the winner of this event. Would you like to enter our next cooking competition? Well, you can’t if you aren’t a member. Head on over to The Unknown Cook Group and request entry into the group. We trust that you will love the atmosphere! Posted on September 26, 2014, in Uncategorized and tagged Andrea Baker-Jones, banana cake, banana cake recipes, banana pudding, banana pudding cake, banana pudding cake recipes, banana pudding recipes, banana recipes, bananas, Sissy Kenyon, the unknown cook. Bookmark the permalink. Leave a comment.